October is Depression Awareness Month. Depression results from a chemical imbalance in the brain that significantly affects how a person thinks, feels and acts. It can range from a minor problem to a life-threatening illness that affects the whole person—mind, body and spirit. It’s not surprising that this recognition event takes place around this time of year. The days are darker, which spurs a form of depression in some people called seasonal affective disorder (SAD). You’ve probably also read that depression can occur among new mothers (postpartum depression), soldiers and veterans who are struggling with wartime experiences, and adolescents under the stresses of that age. But did you know that seniors are at the highest risk of depression? Because many older adults hesitate to talk about the subject, few people realize how many elders struggle with this condition, which not only impacts a senior’s quality of life, but also negatively affects the heart, brain, immune system and almost every other body system. The National Institute of Mental Health says that depression is caused by a combination of genetic, biological, psychological and environmental factors. In seniors, depression might result from age-related changes in the brain and body. Seniors also are more likely to experience combined stresses and changes that raise the risk: poor health; loss of independence; chronic pain; the death of a spouse or other important people in their lives; financial worries; a blow to their self-esteem after retirement; nutritional deficiencies; and often, the side effects of their medications. If these symptoms last for more than two weeks, it’s time for an evaluation. Today, there is a new emphasis on detecting and treating depression. The U.S. Preventive Services Task Force now recommends that all adults be screened for the condition. Medicare Part B covers an annual screening. Yet in August of 2016, the Journal of the American Medical Association reported that only a small percentage of people who are diagnosed with depression ever seek help for it—which is too bad, because depression is a treatable condition. Treatment options include lifestyle changes, counseling, medications and other therapies. Families can support their loved one’s treatment by offering understanding, patience, encouragement and practical assistance. Sometimes it can seem that their loved one has a lot of appointments as the doctor pinpoints the cause of depression and arrives at the best plan of treatment. This is challenging if family live at a distance—and even if they are nearby, these appointments are often scheduled during family members’ work hours. Families who use home care services find that it’s a great resource in supporting their loved one’s recovery! 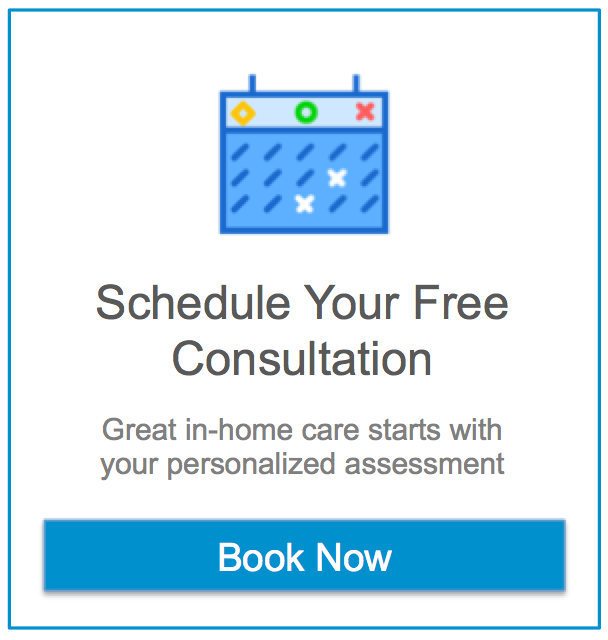 Professional home caregivers can help clients keep track of healthcare appointments, counseling sessions and other treatments, as well as providing transportation and encouragement to stick with it. If the doctor prescribes medications, finding the right drugs can be a trial and error process that extends over weeks—and seniors are often already taking multiple medications to manage other health conditions, which makes medication management a challenge! The caregiver can help clients remember which medications to take and when, drive them to the pharmacy, and—especially important—be alert for side effects. For most senior patients, nonmedical treatments are just as important. Your loved one will most likely receive a “prescription” for physical activity. Exercise raises the levels of the body’s mood-boosting neurochemicals, reduces perception of physical pain, and boosts self-esteem. With the support and supervision of a caregiver, your loved one is more likely to follow the doctor’s suggestions, whether that be attending a Tai Chi class, working out to a video, or going for a walk. Socialization and mental stimulation are also so important. On the most basic level, having a caregiver around provides human companionship that wards off those pernicious causes of depression—loneliness, isolation and boredom. With the support and assistance of a caregiver, clients can get back to doing the things they love, spending more time with others, and just getting out of the house. Poor nutrition also is linked to depression. Some experts believe a junk food diet worsens depression—and then, the person loses their appetite, setting up a cycle. Caregivers can plan and prepare healthy meals that tempt the client’s appetite while meeting any special dietary requirements. And the little things help, too! Professional caregivers assist with bathing, dressing, grooming and housekeeping. Your loved one probably didn’t receive a “prescription” for having a tidy house, well-groomed hair or wearing those favorite hard-to-put-on shoes. But looking your best and living in pleasant surroundings are great mood boosters, and also support socialization. Dementia care is another special circumstance. Medical researchers continue to refine their understanding of the relationship between depression and dementia. Most agree that the two, in a sense, go hand in hand, each raising the risk of the other. If your loved one has Alzheimer’s disease or a related condition, be sure to hire home care from an agency that trains caregivers to meet the emotional needs and behavioral challenges of people with dementia.